Journey into the Nordic forests – Koskenkorva’s flavoured vodkas are inspired by Scandinavian foraging traditions. 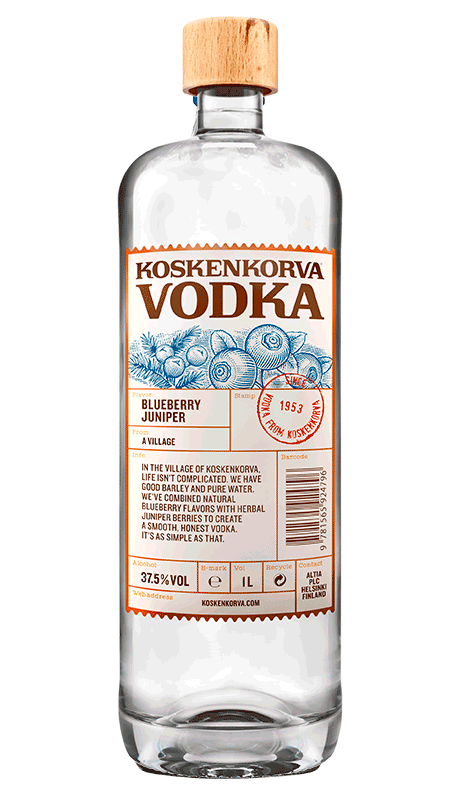 This vodka is made using a continuous distillation process with ingredients from the landscapes surrounding the Finnish village of Koskenkorva. This vodka delivers heady, fruit-filled aromas of blueberry, juniper and pine, and deep flavour of blueberries, juniper and sweet liquorice.